This multichrome holo has a great name. (Anybody else want to go watch Clueless now?) It’s opaque in 2-3 coats. 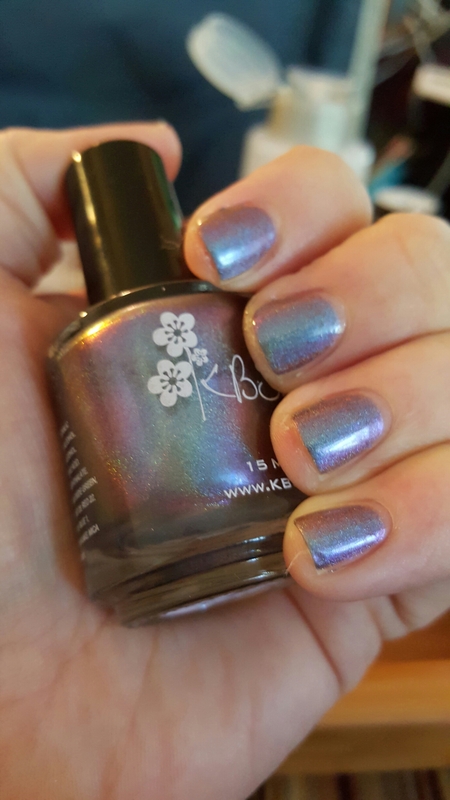 This entry was posted in Nail Polish Collection and tagged duochrome, holographic, indie nail polish, indie polish, kb shimmer, nail polish, swatch, swatches on February 23, 2016 by Mel.